Royal Tunbridge Wells is located in the county of Kent in southern England, surrounding by pretty countryside. With a close proximity to London and population approaching 60,000, there is a huge demand for property in Royal Tunbridge Wells, which is reflected in its strong prices. At My Home Move Conveyancing we continuously develop our knowledge of local property markets, allowing us to offer our clients in the area a specialist, fixed fee conveyancing service. Should you wish to buy or sell property in Royal Tunbridge Wells, you’ll require a lawyer to carry out the legal work on your behalf. 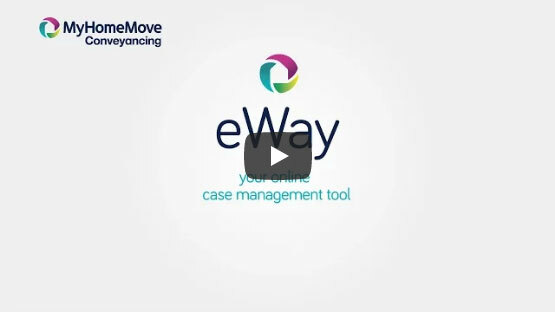 At My Home Move Conveyancing we are proud of our award winning customer service, which is enhanced by being open seven days a week, and complemented by our innovative use of technology and intimate knowledge of the local area. We provide a fixed fee conveyancing service, meaning when you choose us as your Royal Tunbridge Wells conveyancers you’ll know exactly what you’re paying from the outset, with no hidden charges to worry about. If, for whatever reason, you don’t end up moving, you won’t need to pay us a thing. Each of our clients are assigned a dedicated conveyancer, who is tasked with looking after your case from start to finish, and will provide you with updates along the way. At My Home Move Conveyancing we provide our conveyancing services in Royal Tunbridge Wells to customers looking for everything from large detached Edwardian properties and cosy Victorian terraces close to the High Street, to modern housing developments ideal for first time buyers. The average house price in Kent is £227,530, while the overall average sale price in Royal Tunbridge Wells during the past 12 months was substantially higher than this at £414,300. Most sales involved flats, which went for an average of £250,915, while terraces fetched £372,527. Semis sold for an average price of £403,831, and detached properties for £771,923. The local area has evidence of being farmed and mined as early as the Iron Age, although Royal Tunbridge Wells as we now know it rose to prominence as a spa town in the 17th century. The modern town is equipped with great amenities, plenty of green spaces and a selection of superb shops and restaurants. House prices are on the high side, but sometimes you get what you pay for and Royal Tunbridge Wells is a wonderful place to live. This is partly down to its location just over 30 miles to the south of London, which makes Royal Tunbridge Wells a popular choice among commuters to the capital. Trains to the capital take less than an hour, and more and more people are opting for this commute each year. There are a number of A roads that pass close to town, and it is the A21 that heads north to the M25. These two roads can be used to get to Gatwick Airport, a journey of less than 35 miles by road. There are some highly rated schools in the area that families with children will find pleasing, with primary options including Groombridge St Thomas’ CofE, Claremont Primary and Langton Green Primary on Lampington Row. Secondary choices include Tunbridge Wells Girls’ Grammar School, Tunbridge Wells Grammar School for Boys and the Skinners’ School on St John’s Road. All properties in Royal Tunbridge Wells will fall within one of the following council tax bands.